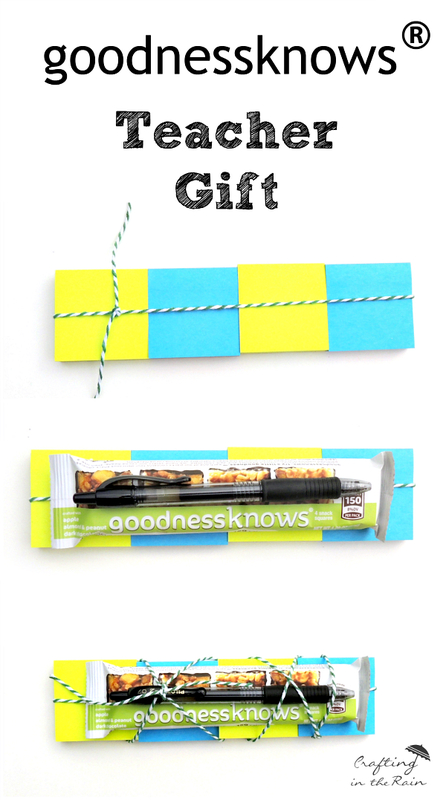 This easy teacher gift is cute, useful, easy to put together, and great for any reason. It’s the perfect way to just send a little “Thank you” to your kids’ teachers and let them know you appreciate all their hard work. 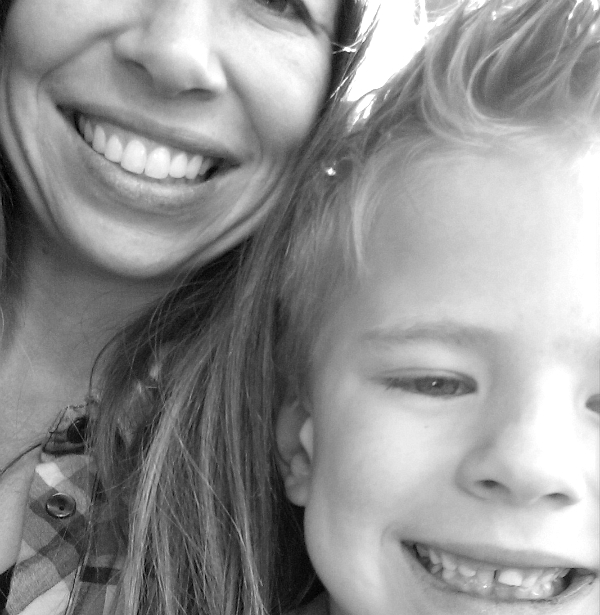 Have you ever been in to volunteer in your kids classroom, or been a chaperone on a field trip? Then you’ve seen first hand the patience it requires to be a teacher. I think there’s a lot of planning ahead, and thinking on the fly. I recently went along as a parent helper to a Children’s Theater performance with two buses full of first graders. Once we got to the theater, we had to wait out in the hallway for about 2 minutes because we’d arrived early. As we were all trying to keep the kids relatively quite and sort of in lines, one of the teachers started us out with some silly action songs. It kept the kids focused, gave them something to do with their hands, and we passed the time until we could go take our seats. I was definitely impressed. 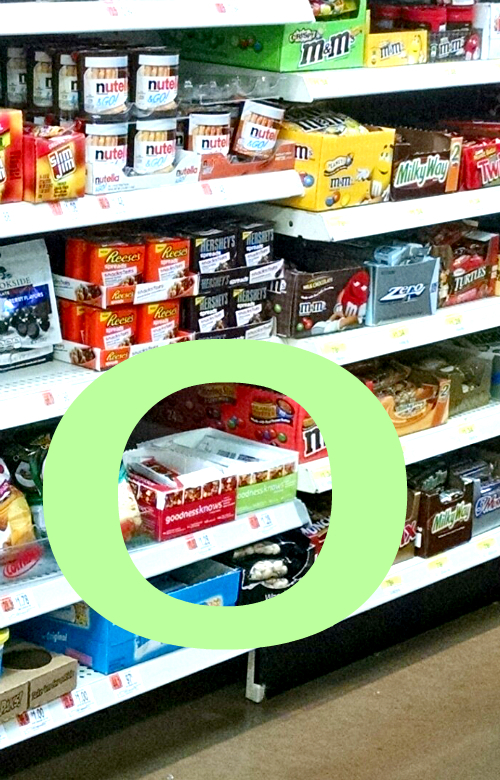 They are so tasty, and they’re a great way to give someone–or yourself–a little break. There are 3 varieties: Cranberry, Almond, Dark Chocolate (shown here), Apple, Almond & Peanut, Dark Chocolate and Peach & Cherry, Almond, Dark Chocolate. 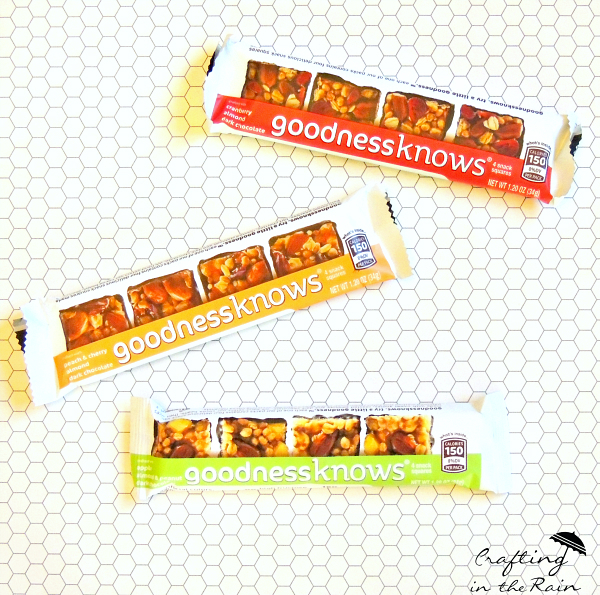 Pick up all three, or just your favorite, along with some pens and small sticky notes. If you don’t have any twine or string at home, grab some of that too. To assemble, lay 4 small sticky note pads on top of a piece of twine and tie a fairly tight knot. 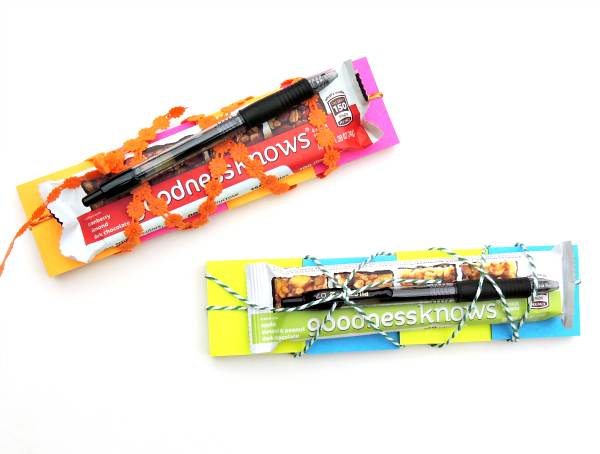 Lay the goodnessknows® package on top, and then the pen. Use another piece of twine to wrap all around a few times and tie to secure. Print out this tag to add to the gift and tie or tape it on. 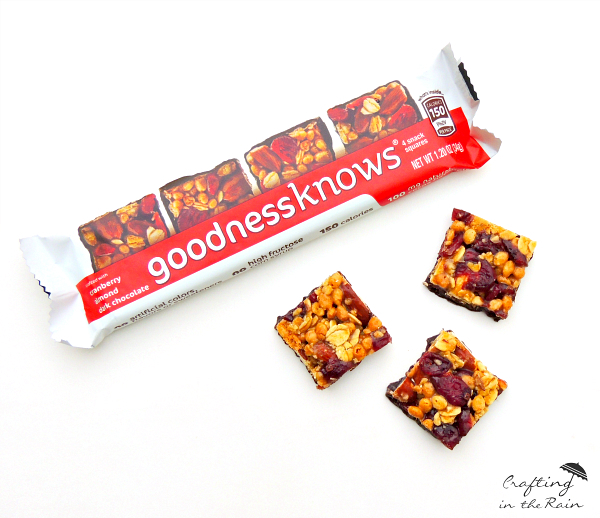 Do you know someone who could use a little goodnessknows® break? Print out this coupon and go pick some up!